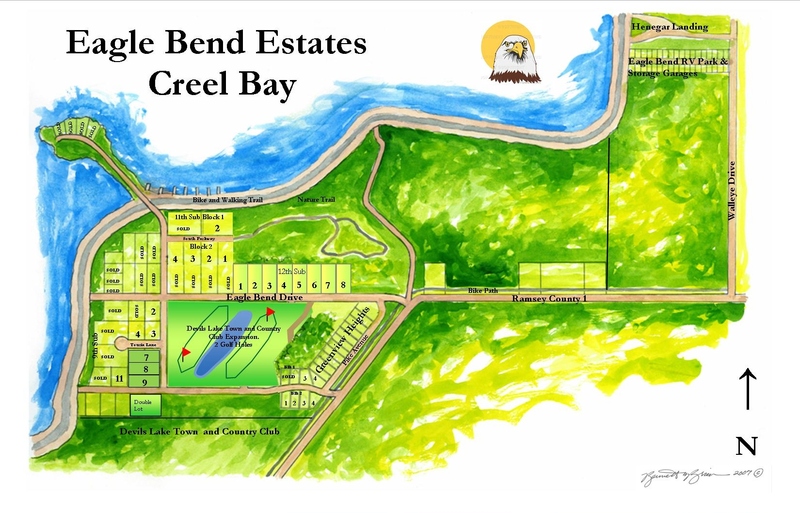 Nestled on the beautiful shores of the northeast end of historic Creel Bay, you will find Eagle Bend Estates. With a bounty of recreational opportunities, endless natural beauty, modern city amenities and distinctive homes and home settings, the excitement Eagle Bend Estates offers is unsurpassed. Within a few steps of your front door, you will enjoy the four seasons in all their splendor. From walks through colorful natural areas in the spring to golf and fishing in summer, enjoy fall beauty in the nearby state parks and national preserves to cross country skiing in the winter, Eagle Bend truly presents countless recreational opportunities. Eagle Bend is situated in 270 acres of natural beauty. Colorful wildflowers, flowing native grasses and prairie rose provide a unique glow.